Immigration Lawyer Fort Lee | Real Estate Attorney NJ | Best Lawyers 07024 - Kevork Adanas, P.C. Built On Relationships. Focused On Solutions. Laws and regulations pertaining to business, immigration and real estate on a global level are constantly changing. It's important to trust your business needs to a skilled New Jersey business attorney who can help you navigate these changes and protect your interests. 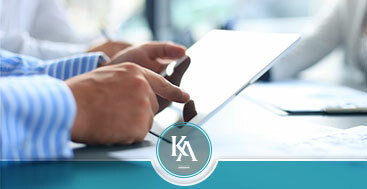 At Kevork Adanas, P.C., our attorney has years of experience doing just that. Being separated from your family is something no person should have to endure. American immigration law takes into account the sheer amount of stress and heartache that is involved in being unable to see your children, spouse, siblings or parents. Buying a home is no small investment. In fact, there are few things you will spend more money on throughout your entire life. That is why it is extremely important that you understand every facet of the purchase you are making before you sign your name to anything. Business owners understandably may have many questions about tax implications, personal liability, state and federal regulatory matters and a variety of other issues. An attorney can sit down and review your business plan and counsel you to achieve your goals. 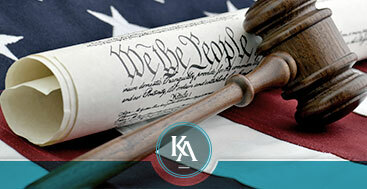 Our law firm offers the best of both worlds. Not only will we provide ease and expertise, we also provide the insight and personal attention you can expect from an experienced lawyer. For both businesses and individuals, when it comes to the best lawyers, Kevork Adanas can help with U.S. employment immigration, investor immigration, family-based immigration, asylum, non-immigrant visas and naturalization. Being separated from your family is something no person should have to endure and that is why you need a qualified immigration lawyer. American immigration law takes into account the sheer amount of stress and heartache that is involved in being unable to see your children, spouse, siblings or parents. Kevork Adanas provides a full complement of real estate services including financing, zoning, environmental issues, for residential, commercial and investment properties. We handle all types of clients and properties including professionals, manufacturing plant, apartments, multi-family housing, low-income housing, and U.S. and foreign investors. Let us help you determine your best legal options for buying and selling real estate for all of your commercial and residential needs. Put your case in the hands of a skilled New Jersey real estate attorney who will take the time to understand your goals and objectives and can counsel you on your best legal options. The sooner you seek advice, the better. When you’re looking to sell or restructure your business, we can help with the sale and asset management including negotiation and contract drafting. Business owners understandably may have many questions about tax implications, personal liability, state and federal regulatory matters and a variety of other issues. An attorney can sit down and review your business plan and counsel you to achieve your goals. To schedule an appointment for an initial consultation with the law offices of Kevork Adanas, Attorney at Law call 201-592-9190. Based in Fort Lee, New Jersey and Clifton, New Jersey, Kevork Adanas P.C. provides comprehensive business law, litigation services to clients New Jersey and New York, including Hudson, Essex, Bergen, Union, Passaic and Middlesex counties in New Jersey and cities such as Clifton, Paterson, Jersey City, Hoboken, Newark, Hackensack, Bayonne, Passaic, East Orange, Union City and Paramus. Many clients also come from Manhattan, Bronx, Queens, Brooklyn and elsewhere in New York City. 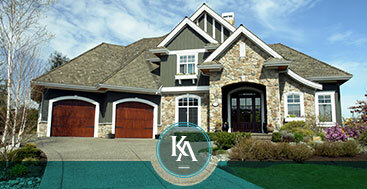 Worldwide clients include those from Istanbul, Bursa, and Ankara, Turkey.